Are you looking to begin shopping for some new windows to place in your home or commercial building? Then you’ll enjoy what we have to offer here at Intex Windows & Doors. We have a large assortment of Replacement Windows in Sherman Oaks from which you can take your pick. Maybe you want to avoid hearing loud noises of the city streets – if so, the Milgard Quiet Line series fixture will be ideal for you. If you want something that is modern and sleek and has clean lines, you will like the Milgard Tuscany series. You may not see what you are looking for in the catalog. If we do not have anything that is suitable for what you need or want, you are welcome to talk to a representative about having a custom-designed window created for you. It really is an easy process, as you will only need to have a general idea of specifications when you come to us. You can explain your vision to a member of the Intex staff, and he or she will discuss it with you to come up with Replacement Windows in Sherman Oaks that match your vision. What could be better than having a professional work with you to put together something that is entirely personalized for your property? If you require Replacement Windows in Studio City in your house, or in your institutional or commercial building, you are in luck. We are major distributors and serve the larger Los Angeles area. You can peruse the many styles of windows and doors that are in the selection, or you can click on a specific category if you already know what it is that you want. We make it easy to navigate through the website to find descriptions of the models of fixtures, as well as photographs that will help you to know precisely what they look like. There are no surprises when it comes to shopping from Intex Windows & Doors, as you will find when you look at the testimonials from prior customers. 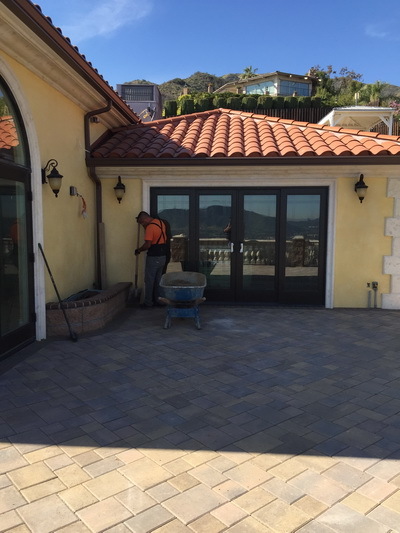 We have been in business for several years and know how to treat our customers well, going above the call of duty to make it a pleasant experience, no matter the size and type of project. As well as the amazing windows you will find at Intex, we also carry a line of Exterior Doors Replacement from some of the leading brands in the industry. If you have a door that is in disarray from use over the years, and you would like to replace it with one that you get from our collection of fine quality fixtures, you will be incredibly pleased with the results. Take the time to look through the Intex Windows & Doors catalog extensively for just what you need. We will not steer you wrong. Give Intex a call to find out more today.